Oh my my my!! It is with SO much excitement that I am able to share my very first TWO publications with you all!! 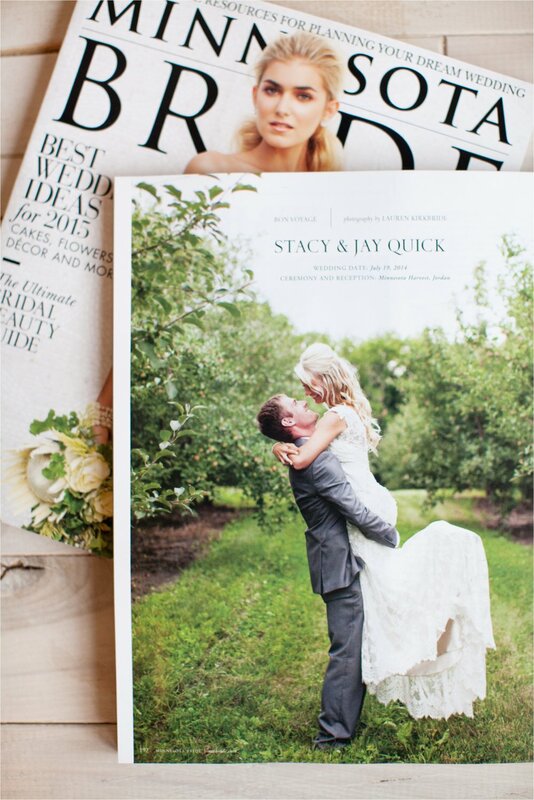 This fall was extremely busy with weddings and engagements, and was topped off with the exciting news that I would have not only one but TWO (extremely beautiful) weddings featured in the Minnesota Bride Spring/Summer 2015 issue!! My heart skipped a thousand beats, as it was one of my goals last year to get a wedding into the mag. My mind was blown and I was almost in disbelief...one of those "I'll have to see it to believe it," kind of things. Well, the magazine is out people and it's BEAUTIFUL! It is an INCREDIBLE honor to be featured in this great state's top bridal magazine with amazingly talented vendors and photographers who I admire and look up to very much. It wouldn't be without the encouragement and love from my clients and community that I would be where I am in this journey today, so it's all because of you wonderful people that I get to celebrate this today!! So grateful and such an encouraging way to kick-off 2015!! Oh and who might be the lovely couples you ask?? 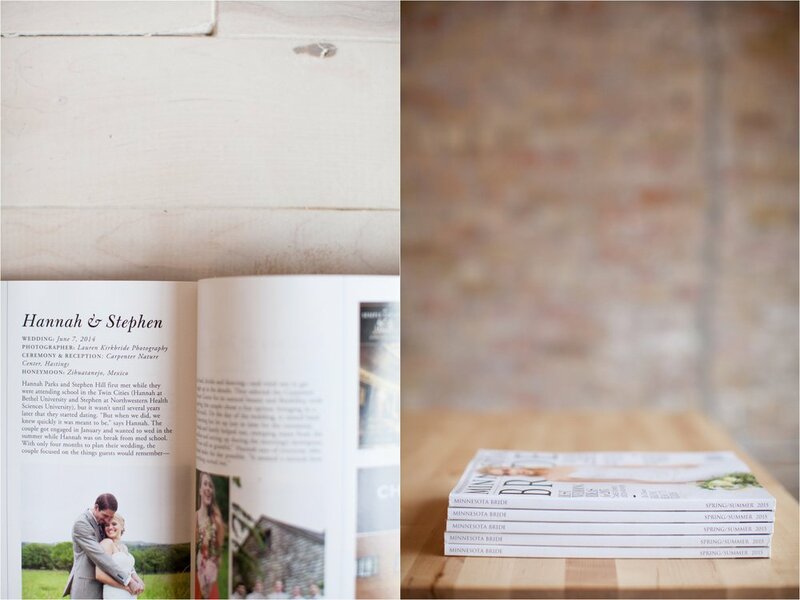 You will find Hannah + Stephen in the Newlyweds section and Stacy + Jay on the very last Bon Voyage page!! Woop woop!! Here's to another amazing year!! Now head to a Barnes & Noble to pick up one of these pretty little things, and see the countless beautiful couples and stories featured!